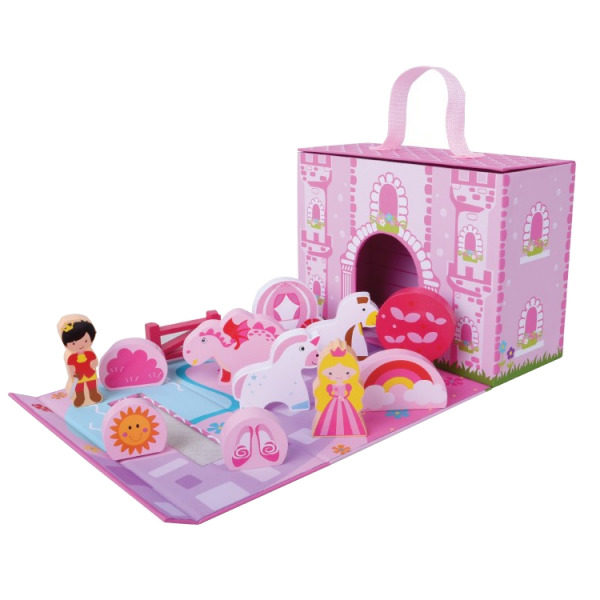 This wonderful fold away Unicorn Castle is easily packed away and carried wherever whenever. Children will enjoy arranging the wooden figures to create their own story with our variety of people, horses and carriage. Included: Prince, Sun, Hedge, Dragon, Unicorn, Pony, Princess, Carriage, Tree, Slippers, Rainbow & Fence.